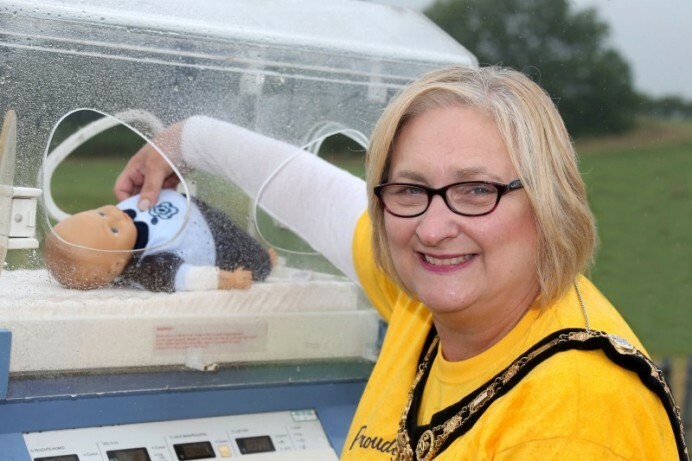 The Incubator Push on Saturday 25th August will raise funds for TinyLife, the premature and vulnerable baby charity which Councillor Brenda Chivers has chosen as the official good cause for her Mayoral term. The event begins at Portstewart Townhall at 10am with teams of volunteers pushing the incubator from Portstewart to The Crannagh on the Portstewart Road outside Coleraine. The Mayor said: “My family has personal experience of the vital services provided by TinyLife as two of my grandchildren were born prematurely. This was a very difficult time for all of us but the charity helped us enormously. I now want to take this opportunity to say thank you in a practical way and give something back. By choosing TinyLife as my official charity I hope to raise both vital funds and awareness of the work they do. The Mayor of Causeway Coast and Glens Borough Council Councillor Brenda Chivers pictured with her grandchildren Harry (4) and Conor (3) along with Brian McCloskey and Liam McKeefry representing Tiny Life at the launch of the Incubator Push fundraising event which will take place on Saturday 25th August from Portstewart Townhall to The Crannagh on the Portstewart Road outside Coleraine. 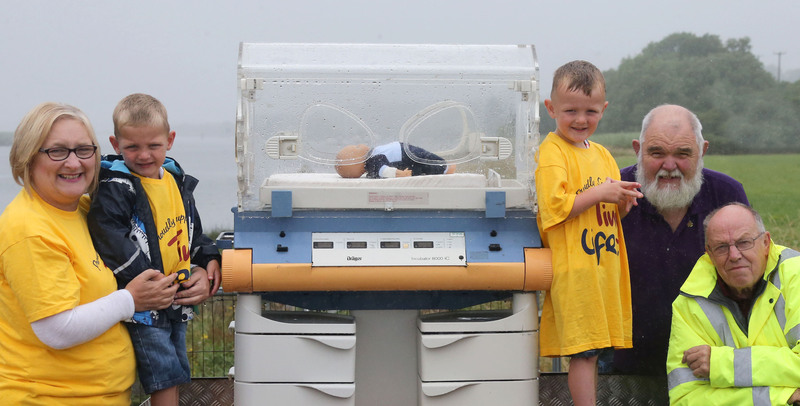 The Mayor of Causeway Coast and Glens Borough Council Councillor Brenda Chivers is calling on people to show their support for an Incubator Push in aid of TinyLife, the premature and vulnerable baby charity, which takes place on Saturday 25th August at 10am from Portstewart Townhall to The Crannagh on the Portstewart Road outside Coleraine.